Fangirls, I’ve been diggin’ a little deeper, trying to come up with nerdy snacks and drinks, and this one truly is royalty. Not from the bayou, but tasty enough for the prince or princess in your life, this grasshopper is phenomenal. 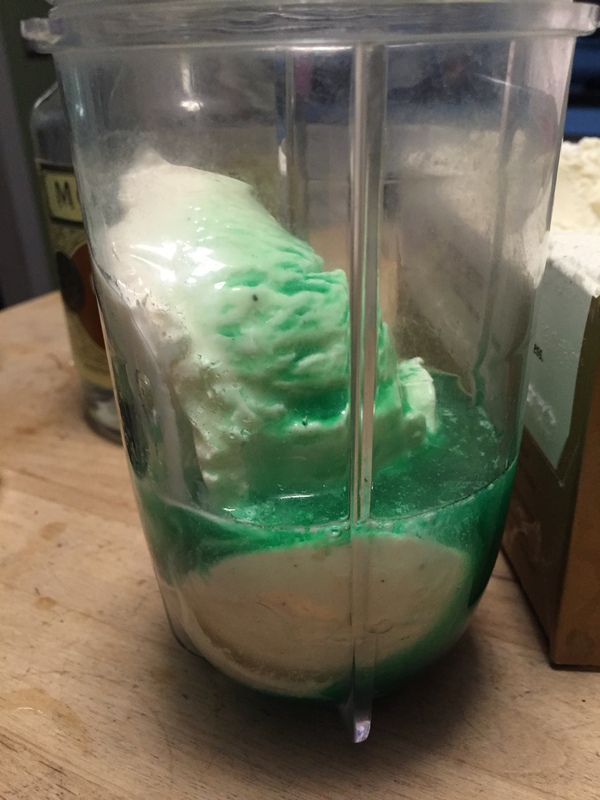 We dropped about 3 scoops of vanilla ice cream, 1.5 shots each of creme de menthe and creme de cacao into our Magic Bullet for some serious mixing. 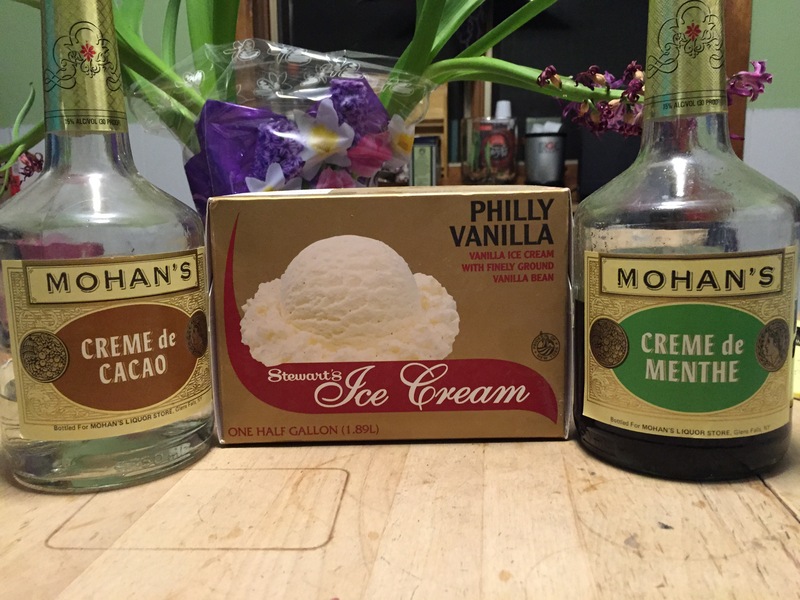 You should mix it until its milkshake consistency, and pour it into a glass. We had ours served with chocolate milk straws, so they were just a bit more chocolatey, and oh my goodness. It made me want to sing, it was so good. I think Tiana would serve it at her restaurant, if Naveen had actually made it. It’s kind of strong, and you have to be very careful with sugar and alcohol. The sugar can really intensify the any effects alcohol has on you. 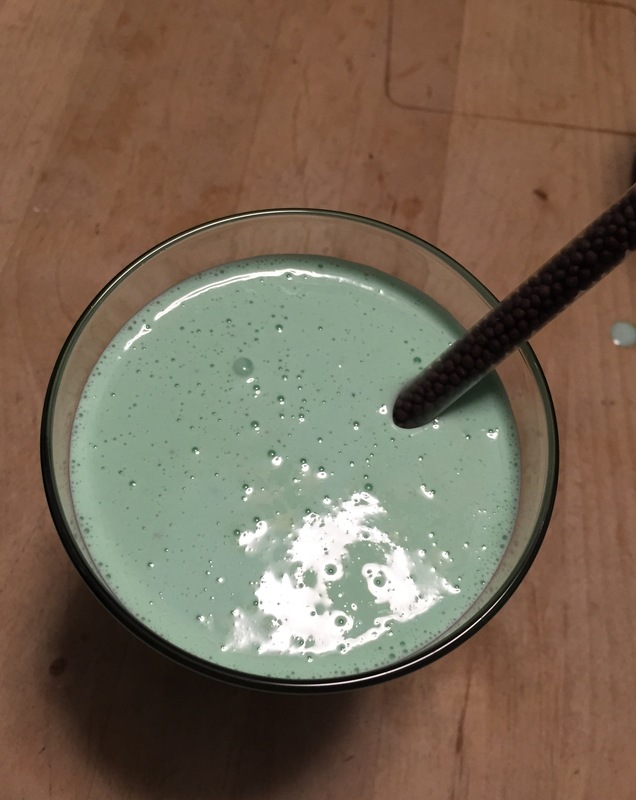 But other than that, this green drink is well suited for everyone, frog or human. Please don’t give frogs alcohol. All images and characters depicted are copyright of their respective owners.